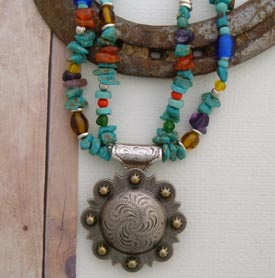 This Western Jewelry Necklace is a Southwestern dream come true. 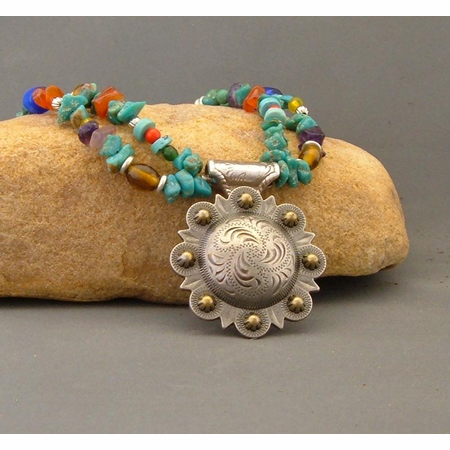 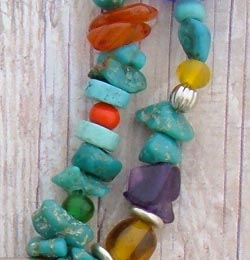 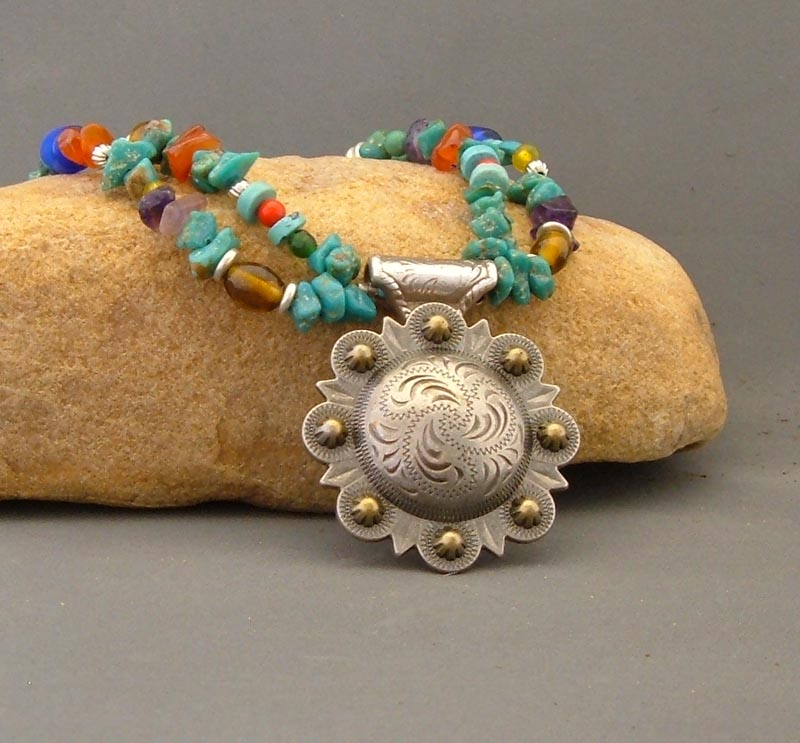 Turquoise, Carnelian, Lapis, Coral, Amethyst and trade beads make this a "Fiesta" of Southwestern colors. 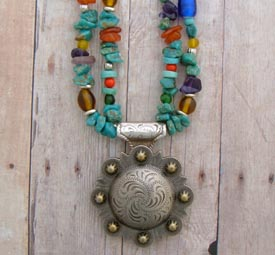 This comfortable and beautiful necklace is made to show off regardless of season. 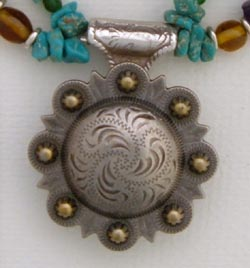 It's elegant yet casual and presents itself beautifully. 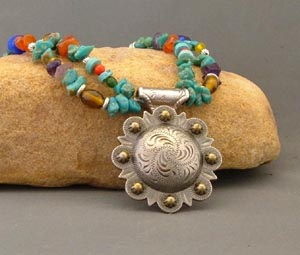 Necklace is 18-1/2" with silver hook closure. 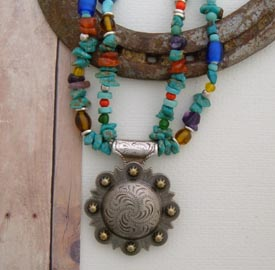 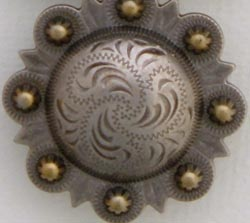 Stunning 1-3/4" concho makes it's statement. 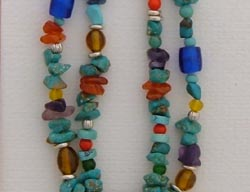 For comfort the necklace has been finished with Miyuki seed beads close to the closure; this avoids pressure on the neck and maintains a smooth appearance at the neckline.